A man suspected of plotting to rob an Elk Grove bank might want to check business hours the next time he undertakes a criminal enterprise. At 4:45 p.m. on Tuesday, April 4, Elk Grove Police responded to a call on suspicion activity at the Bank of the West on Elk Grove-Florin Road. The caller said Cameron W. Sharpe, 27, of Citrus Heights was observed loitering near the bank and that he was wearing a mask and was moving toward the door. According to the witness, Sharpe was unable to enter the bank because the doors were secured. As Sharpe drove away from the location, the witness provided a description of S-1’s vehicle and direction of travel. Responding officers located the described vehicle and conducted an enforcement stop and detained Sharpe. A vehicle search led the discovery of ski mask and a black BB gun. 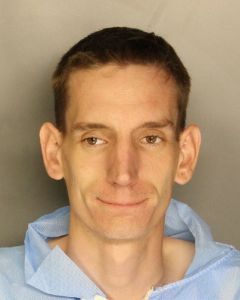 Sharpe was arrested and booked into the county jail where he is being held on $50,000 bail for attempted robbery charges. Arraignment is scheduled for Wednesday, April 6. No Comment to " Wannabe Bank Robber Foiled By Witness, Arrives After Business Hours "